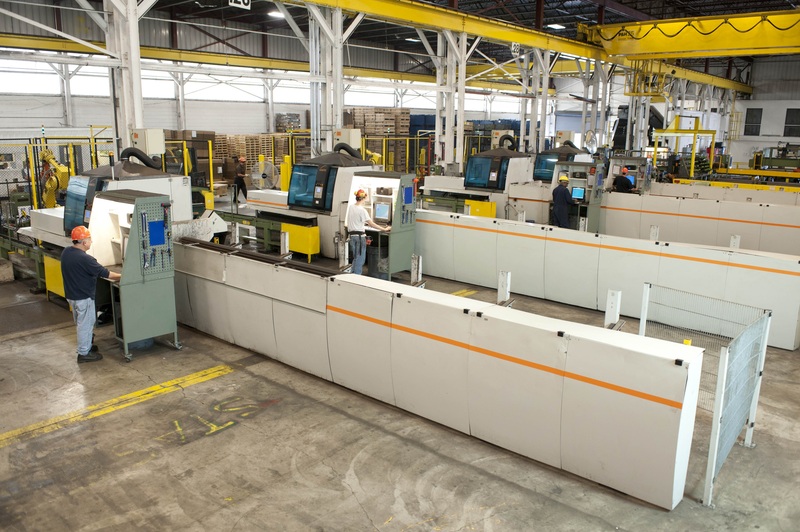 Many high-volume cut piece requirements can take advantage of lower cost, high yield shearing. Shearing is used for forging and machining applications that do not require a saw cut end. Eaton Steel Bar Company has four shearing lines and will launch our Ficep high speed shearing line in Q1 2017. Cold shearing is a process in which steel bars are passed through a die or shear blades, cutting them mechanically. This mechanical shearing action breaks the bar. Tolerances and capabilities of cold shearing are governed by the size of the bar and the hardness of the steel. Different grades of steel have inherently higher or lower hardness. Clinton Shears .625" 2.75" 10" 72" +/- .032"
Slugger Shears .5625" 1.9375" 6" 36" +/- .032"
Ficep .700" 2.000" 1.5" x dia. 19.75" +/-10"